Skegness guide for visitors and tourists. A comprehensive list of hotels. Now it couldn't be easier to find holiday accommodation in Lincolnshire. 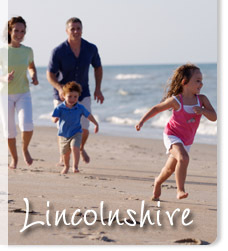 Lincolnshire Breaks not only offers the chance to find the ideal holiday accommodation in Lincolnshire, it also gives the opportunity to read reviews, take a look at the latest special holiday offers and book your Lincolnshire holiday online. Lincolnshire Breaks please click here.